A recent study published in the Journal American Medical Association (JAMA) found a significant association between varicose veins and DVT (deep vein thrombosis), and less clear potential associations with pulmonary embolism (PE) and peripheral artery disease (PAD). The significance of this large, retrospective population study (over 400,000 people) is that varicose veins are a common condition but may be associated with increased health risks, especially for deep vein thrombosis (DVT). DVT, pulmonary embolism (PE), and peripheral artery disease (PAD) are all vascular diseases with severe systemic effects and may be life-threatening. Read the JAMA Article here. Researchers looked at the health records of more than 425,000 adults over a 12-year period. The study concluded that more work is needed to understand whether varicose veins directly cause blood clots or whether the two conditions have a similar origin due to a common set of risk factors. 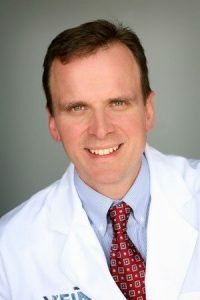 “The association between varicose veins and DVT has been hotly debated in the venous care community for quite a while. For venous disease patients with additional risk factors, such as recurrent superficial phlebitis, a variety of genetic conditions (including Factor V Leiden), active malignancy, and use of certain medications like oral contraceptives, the relationship is much more distinct. Surprisingly, this study is robust enough to suggest that for some patients, superficial venous disease/varicose veins may be associated with more ominous health issues in the long term. But, as one of my favorite mentors in medical school would always remind us, ‘correlation does not imply causality.’ The findings of this study certainly merit additional review and research” per Dr. Jeff Schoonover, owner and Chief Medical Director of Indiana Vein Specialists. 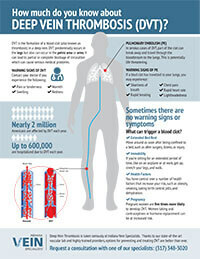 March is Deep Vein Thrombosis (DVT) Awareness Month and a good time to talk about risk factors. Deep vein thrombosis, or DVT, is the formation of a blood clot inside the deeper veins of the body, especially in the legs. Some DVTs may not have any symptoms but most cause dramatic pain, swelling, and warmth in the leg. 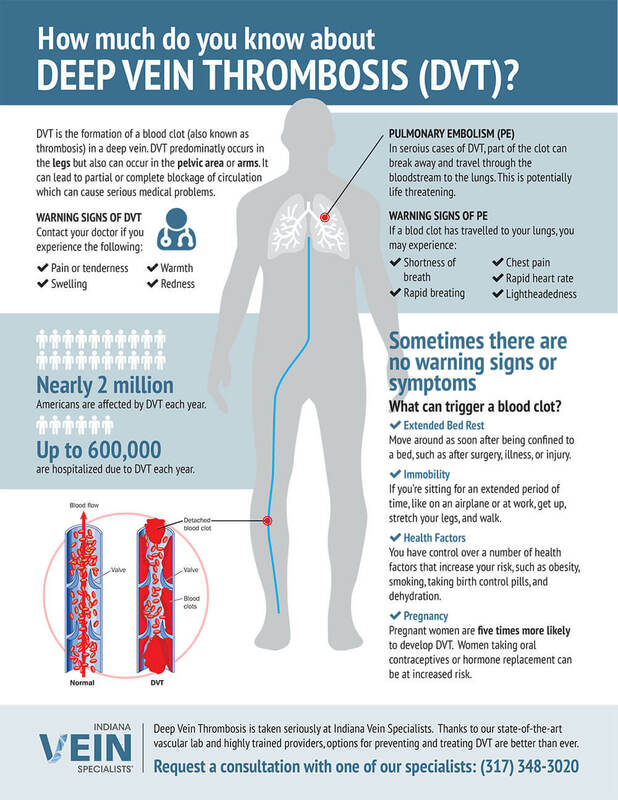 If untreated, people with extensive DVTs are at risk of developing a pulmonary embolism, in which the blood clot breaks away and travels to the lung, which can be life-threatening. 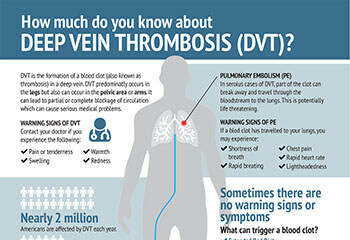 More than 2 million people in the United States are affected by DVT each year and more than 600,00 people are hospitalized. Varicose Veins are large, ropey, and twisting blue vessels, which appear in the skin anywhere from the thigh to the foot. They are most often the result of leaking and malfunctioning valves in the superficial saphenous veins. These abnormal valves allow blood to flow retrograde back down the legs and into all of the skin veins. The repeated backflow of blood causes higher vein pressures, resulting in veins which enlarge and twist over time. Leg pain associated with varicose veins is usually due to swelling of the veins and of the surrounding tissues. A painful and red lump where varicose veins are located is nearly always a sign of phlebitis. Phlebitis develops when one or more of these veins develop a blood clot, usually when the patient is inactive. The treatments to eliminate varicose veins and all vein abnormalities have improved dramatically in recent years. Endovenous Ablation is the standard thermal treatment for large varicose veins. Performing an Endovenous Laser Ablation (EVLA) and Radio Frequency Ablation (RFA) eliminate the abnormal saphenous vein, which is often the source of most varicose vein issues. Advances in non-thermal venous ablation treatments have resulted in additional treatment options. Varithena Treatment involves the injection of medicine into the vein with ultrasound guidance to direct the medication into the abnormal vein, which causes the veins to close. VenaSeal Closure System is an innovative treatment that is the only procedure to use a medical-grade adhesive to close abnormal saphenous veins. The adhesive is inserted into the vein under ultrasound guidance via a small catheter and seals the vein shut. ClariVein is a specialty infusion catheter with a rotating wire tip designed for the controlled 360-degree dispersion of medication to the targeted saphenous veins. This process causes the malfunctioning veins to close down. Indiana Vein Specialists has Office Locations in Carmel and Fishers, IN and is a medical practice exclusively dedicated to the diagnosis and treatment of venous disease. Our highly trained and compassionate staff combine leading-edge technology with comprehensive, office-based, and minimally invasive treatments. Click on the following link to learn more about Indiana Vein Specialists. For more information about the Association Between Varicose Veins and DVT and to learn if Treatment might be right for you, call Indiana Vein Specialists at 317-348-3020 today. We look forward to hearing from you.